Genesis, geography, evolution, cartography of soils in Russia and in the world; impact of agriculture on soil forming processes and soil and ecosystem features; fallow land recovering. Karavaeva N.A., Sokolova T.A. Cryometamorphic gleyzems in the taiga of Western Siberia: Chemical and mineralogical properties, ecology, and genesis // Eurasian Soil Science, 2014, Volume 47, Issue 8, pp 741-751. Karavaeva N.A. Soil zonality of the Chukotka Upland // Eurasian Soil Science, 2013, Volume 46, Issue 5, pp 468-483. Karavaeva N.A. Scientific rationale and instruments to prevent fires on peatlands // Eurasian Soil Science, 2012, Volume 45, Issue 10, pp 995-996. 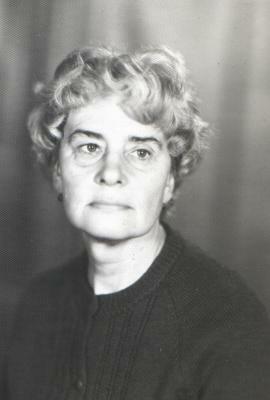 Olga Kalinina, S.-E. Krause, S.V. Goryachkin, N.A. Karavaeva, D.I. Lyuri, Luise Giani. 2011. Self-restoration of post-agrogenic Chernozems of Russia: Soil development, carbon stocks, and dynamics of carbon pools. Geoderma 162. P.196–206. Lyuri D.I., Goryachkin S.V., Karavaeva N.A., Denisenko E.A., Nefedova T.G. Dynamics of agricultural land in Russia and postagrogenic restoration of plants and soils. Moscow, GEOS 2010, 416 p. Chapter 3. Geographic fators and mechanisms of post-agrogenic recovering ecosystems in different natural zones. P.p. 177-327. Karavaeva N.A. Agrogenic soil memory. Chapter 20 // 2008. Soil Memory Soil as a Memory of Biospher-Geosphere-Antroposphere Interactions. М.: URSS, р.p. 578-614 (in Russian). Karavaeva N.A. Cryosols of Western Siberia.// Cryosols. Springer, USA, 2004. Section 2, Chapter 8, p.p. 209-229.